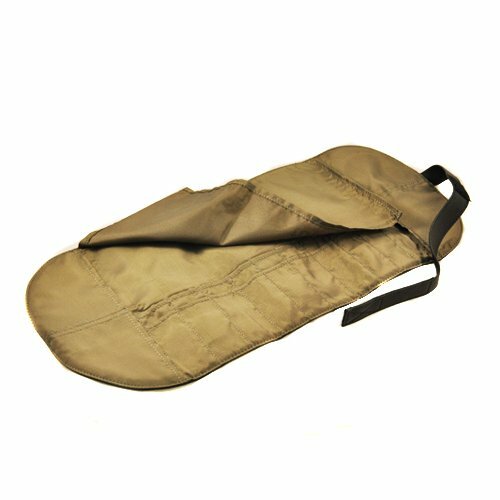 I just ordered a new (cheap and well-rated!) set of makeup brushes and I am so excited to try them out. In the meantime while I wait for them to arrive, I am going to have to figure out where I intend to store them as well as my old brushes (I still like them, I just wanted more!). 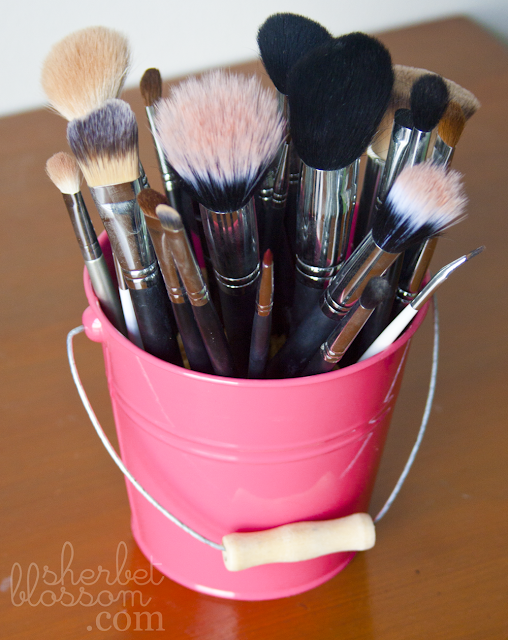 I sort of love the look of makeup and brushes (tastefully) displayed on a counter top. Here are some of my favorite ideas I have found so far. 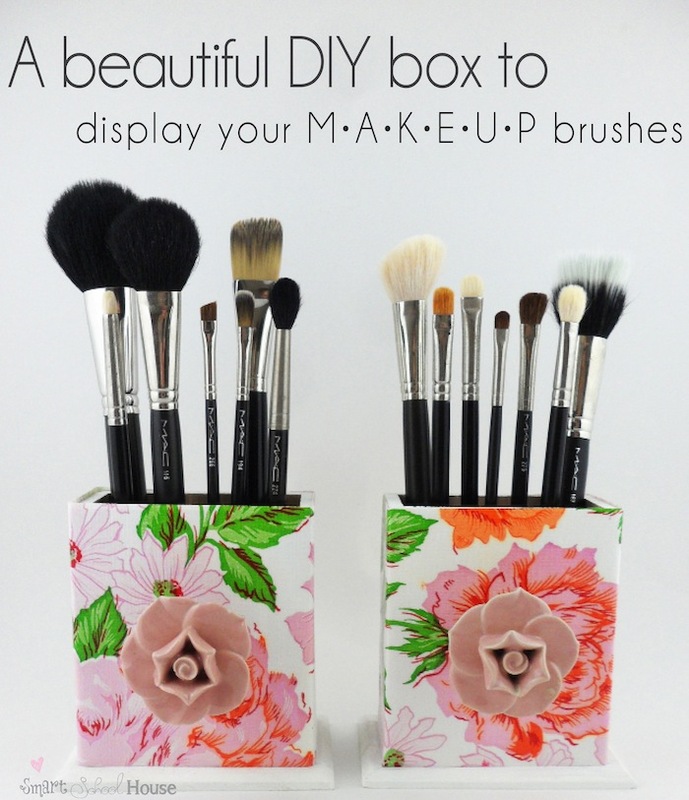 You could keep you q-tips and what not in them, and/or your makeup brushes! You could even use little pearls as your filler bead, that would be pretty! There are a million variations on this particular idea ALL over the internet. Look around! 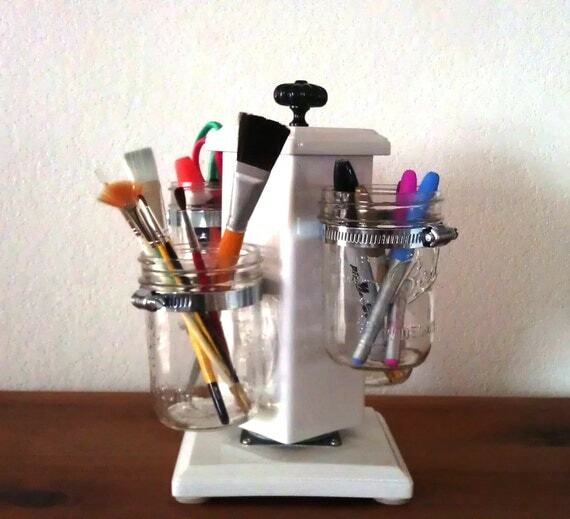 This would be so awesome and easy because you could always mix and match jars and make more of them, as needed. Love this idea (don’t love the price tag!) but it is pretty awesome and perfect for smaller spaces! I saw these tiny buckets at the Dollar Spot at Target a few days ago. That’s a $1 storage solution! Not too flashy, super simple, super easy, super cute! Oh, how I wish I lived close to an Ikea right now! I would walk in and buy this little planter for $1.99 tomorrow! If you aren’t looking to DIY anything or search for just the right jar, pen cup, tooth brush container, ect. This elf container might be what you are looking for! I know my husband would prefer I put this on the bathroom counter rather than something sparkly. The maker of these cute containers used floral vinyl to cover these wooden boxes, but you could use scrapbook paper or fabric with mod podge to get any look you want. 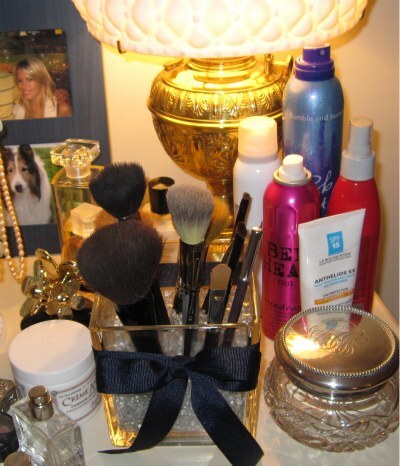 This entry was posted in Beauty, Makeup, Organize on February 26, 2013 by Heather. I just stumbled across this and, Ive seen this type of brush on one of the mineral companies infomercials But I dont want to buy the whole set. I just want a brush that has a powder storage in the handle and that dispenses out as needed for on the go touch ups. Any ideas where I can get one. I did see one at sephora but it was HUGE. I often visit your website and have noticed that you don’t update it often. More frequent updates will give your site higher rank & authority in google.